We’re in the midst of “10 days of speed” in the heart of NASCAR country, Charlotte, North Carolina. 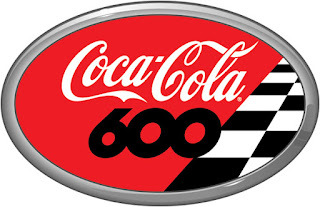 The action at Charlotte Motor Speedway continues with this weekend’s big races, the Xfinity Series Hisense 4K TV 300 and the longest race of the Monster Energy NASCAR Cup Series season, the Coca-Cola 600. The green flag drops on those races on Saturday, May 27 and Sunday, May 28, respectively. Check out the World of Outlaws Craftsman Sprint Car Series on Friday night, May 26 at the neighboring Dirt Track at Charlotte Motor Speedway, and find out more about the Outlaw Showdown here.